BritMums and Lincolnshire Echo press trips secured. Website bookings increase by 40% after launch. Forest Park appointed Reflection PR to deliver Leisure and Tourism PR and Marketing to promote their camping and caravanning site nationally. We launched Forest Park’s brand new website, after project managing, writing copy and securing professional images. Our team also managed social media accounts, responded to enquires and engaged with new and existing customers. To help spread the word and gain interest from customers further afield, press trips were secured in media including BritMums, Lincolnshire Echo and Choice Magazine. Press releases and features resulted in coverage and competitions attracted significant entries. 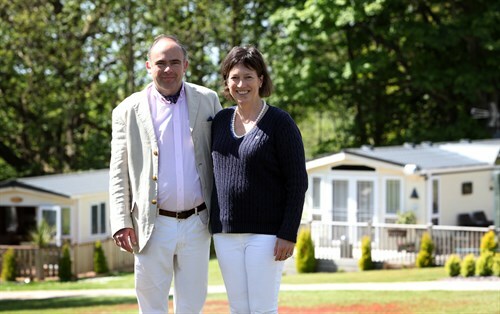 Our team also delivered a professional video for the North Norfolk holiday park. Following the new website launch, a 40% increase in bookings was witnessed with increased social media engagement and media attention earned. It has been a pleasure working with Reflection PR. They have produced an excellent website and video and have introduced our company to the world of social media. They are a very professional team to work with. Speak to Suzy about how her Leisure and Tourism PR and Marketing expertise can help your brand.